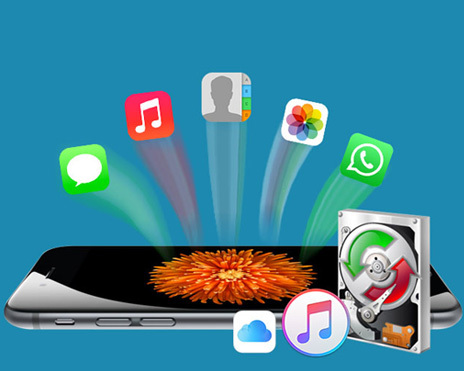 Best iPhone data recovery software retrieves lost or deleted data like contact, message, photos, video for iPhone 6 Plus/6/5s/5/4S/4, New iPad, iPod Touch. * 3 recovery modes to retrieve data from your iDevice, iTunes backup and iCloud backup. 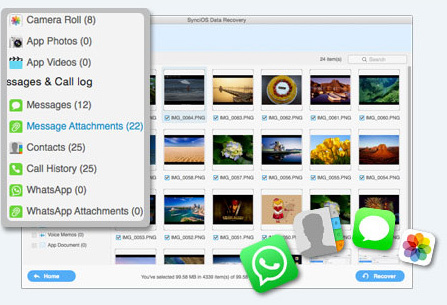 * Recover photos, messages, contacts, as well as App data like WhatsApp conversations, iPhoto, Instagram etc. * Preview what you've found before performing recovery. * You can choose to extract found data to PC or put them back to device. Recover data directly from iOS Device: Connect your iPhone/iPad/iPod to computer and you can retrieve data or deleted files by directly scanning the iOS devices. Recover data from iTunes Backup: Find iTunes backup on your computer by itself and scan the backup, selectively retrieve lost data. Recover data from iCloud Backup: Browse your iCloud backup file freely on Mac or Windows PC and recover lost data from your iCloud backup. Data Loss: Accidentally deleted or lost something important by wrong operation. 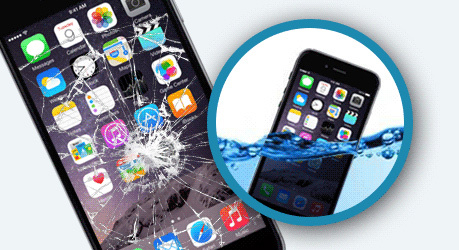 Damage: No matter iPhone broken, crashed or water damaged, iOS Data Recovery make sure your data doesn't drown. Restore Factory Settings: For failed iOS upgrade, jailbreaking failure, previous data can be found after resetting iPhone. * Support to export contacts in VCF, CSV, HTML format to PC, also recover directly to iPhone. * Support to retrieve text messages, iMessages, as well as message attachment. * Preview media files like camera roll, photo library,photo stream, even App Photo (photos taken by 3rd party camera App, like Camera+) one by one.